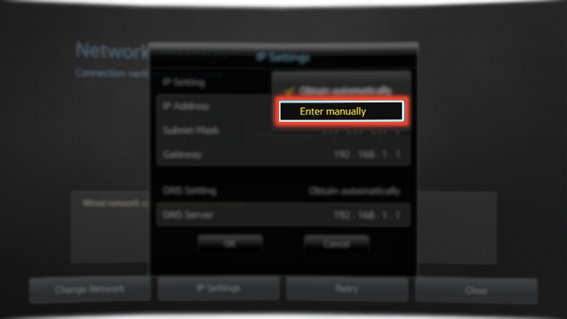 How to connect to a Wireless Internet Network Manually in Samsung Smart TV? 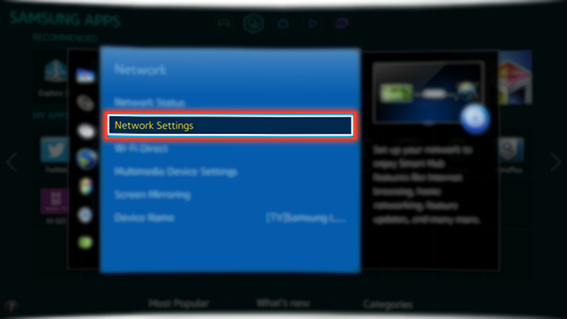 CLICK HERE to know how to connect to a Wireless Internet Network Automatically in Samsung Smart TV. e). 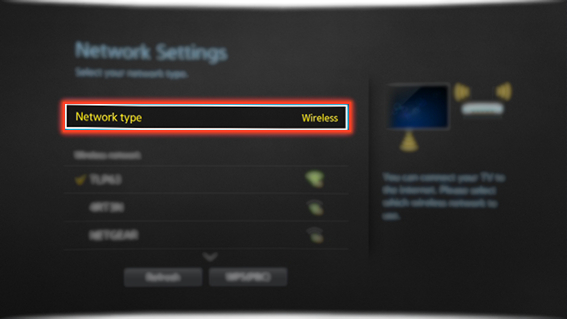 Select Wireless in the Network type. f). 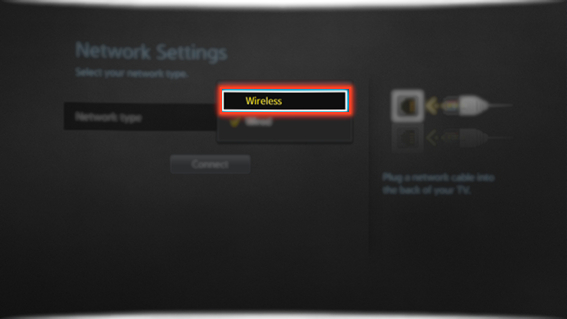 The TV automatically displays a list of available wireless networks. 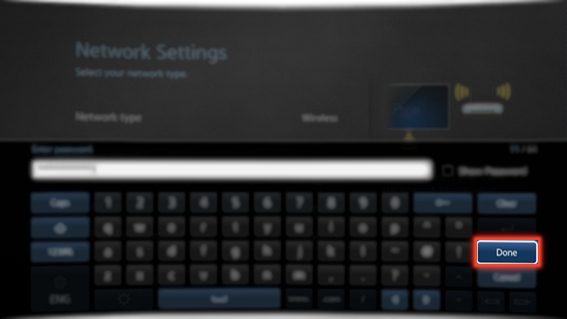 Select a Network. g). 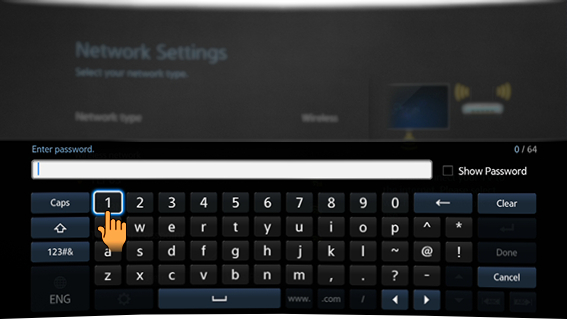 Enter the Password using the on-screen keyboard. i). 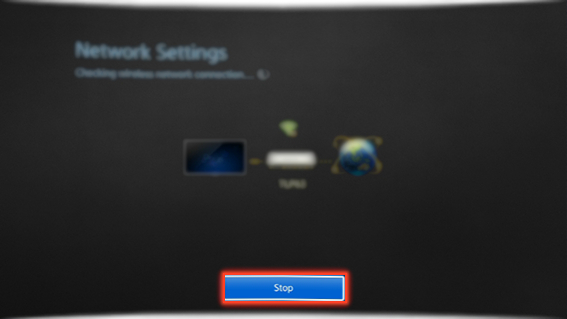 Select Stop when the TV attempts to connect to the network. j). 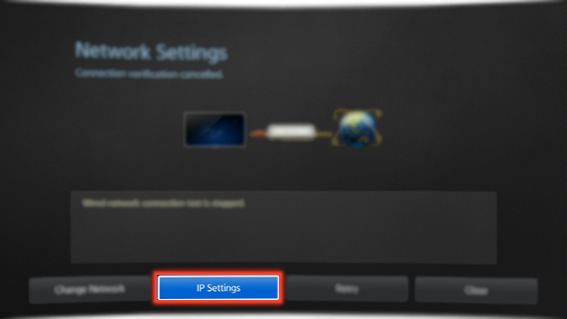 Select IP Settings once the network connection has been interrupted. m). 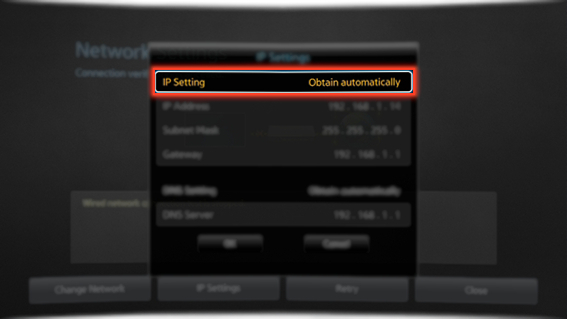 Select IP Address after the IP Setting has been changed to Enter manually. n). 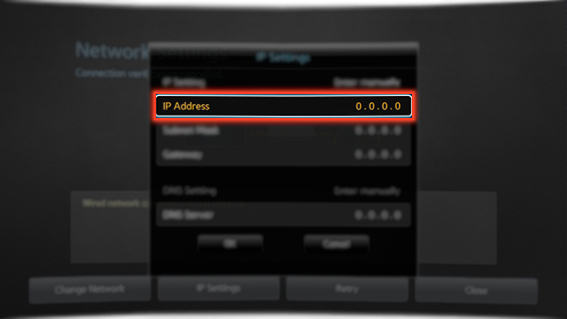 When the IP Address entry window appears, enter three digits into each field on the IP address line. 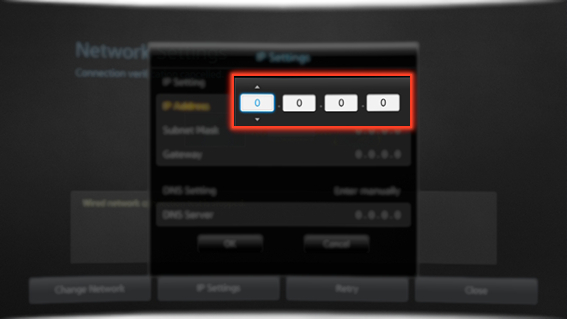 NOTE : If the value has less than three digits, add leading zeroes. o). 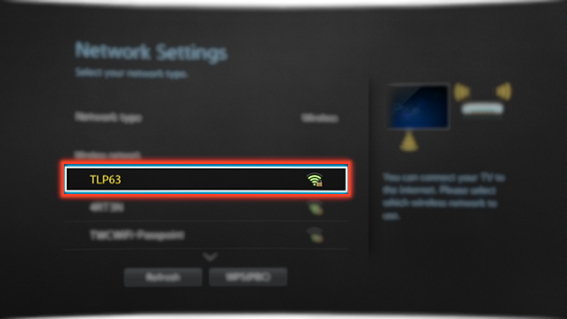 After three digits have been entered in a field, the highlight automatically jumps to the next field i.e. 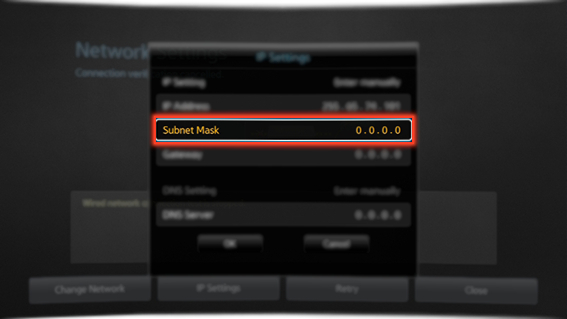 Subnet Mask. p). 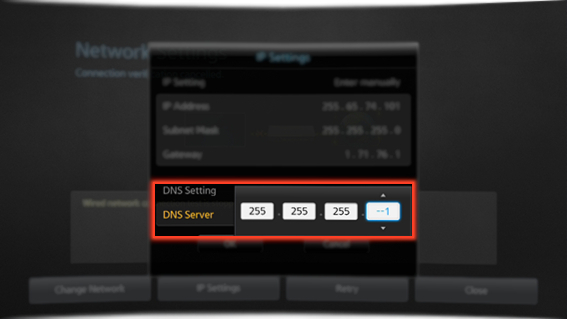 Repeat the process for Subnet Mask, Gateway, and DNS Server. q). 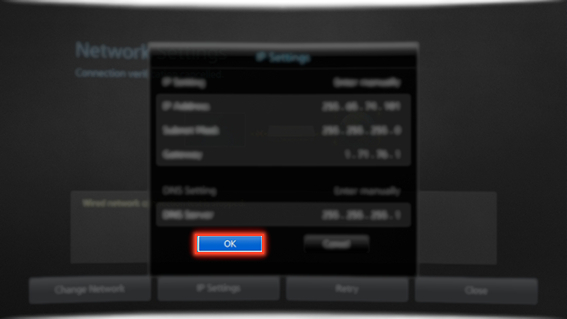 Select OK when done. 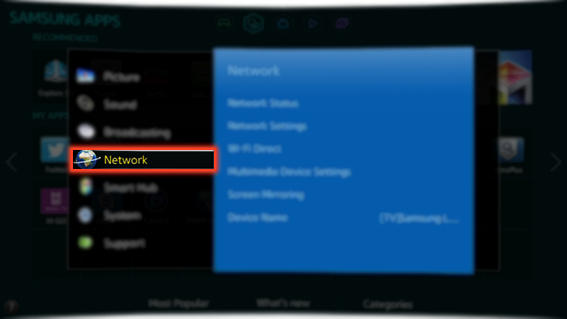 Where is the location to connect Headphone jack in Samsung TV's?